If you read about color schemes and color palettes, they seem to be used interchangeably. The term color scheme is used to describe the framework of how the colors are chosen and put together. A color scheme is based on color theory, like a monochromatic scheme. 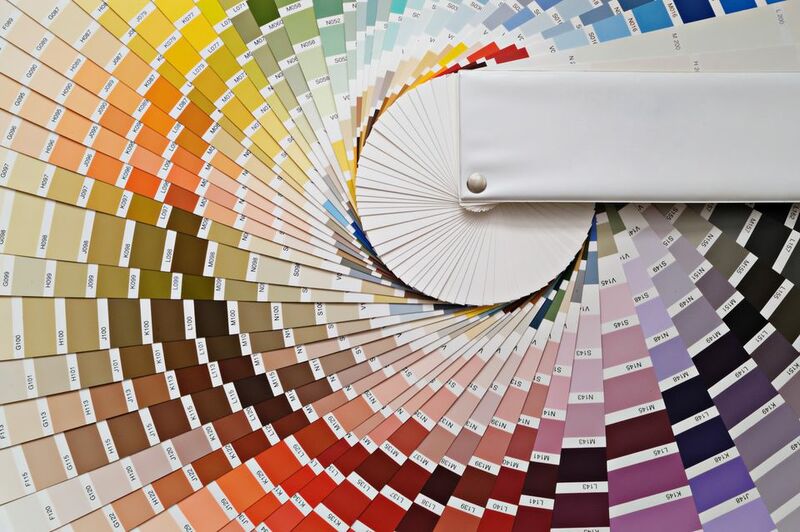 A color palette refers to the actual colors that you’ve chosen, based on your color scheme. So if you chose a complementary color scheme, the color palette would include colors by name, or by paint color. It’s more specific to your project. Once you learn a few basic color scheme techniques, you can choose color that expresses your personal taste and vision. Successful color schemes are based on color relationships. Here are the basic color relationships that will be the foundation for your color scheme. Complementary Color Scheme is a color scheme with two colors that are opposite each other on the color wheel. This color scheme can be vibrant with high contrast if colors are used in the same saturation. This scheme will naturally include a warm and a cool color, as they're on opposite sides of the wheel. Analogous Color Scheme is a scheme using three colors that are adjacent to each other. An analogous scheme can be very harmonious and relaxing. A scheme of blue-green, green, and green-yellow is an example of an analogous color scheme. This scheme benefits from having one dominant color, with the two remaining colors as accents. Analogous schemes work well with accent walls, and other large scale accents, because the colors are naturally harmonious together. Split-Complementary is a color scheme that uses three colors. One color is chosen, then the colors on either side of its complementary color ​are included. Less dramatic than the complementary color scheme, the split-complementary is an easy color scheme to create and live with. Tetradic Color Scheme is a scheme using two sets of complementary colors. Having four colors to work with can be more challenging, but it can also produce a full and rich color scheme. Using a dominant color with three accent colors is one way to harmonize a tetradic color scheme. The other way to create a pleasant tetradic scheme is using muted tones of the four colors. Any complementary scheme will contain warm and cool colors and requires special care balancing the two. If you find a color wheel that illustrates color relationships, you can easily experiment with all of these color schemes to find the perfect one. Once your color scheme is decided, the fun begins as you create a palette of your desired colors.